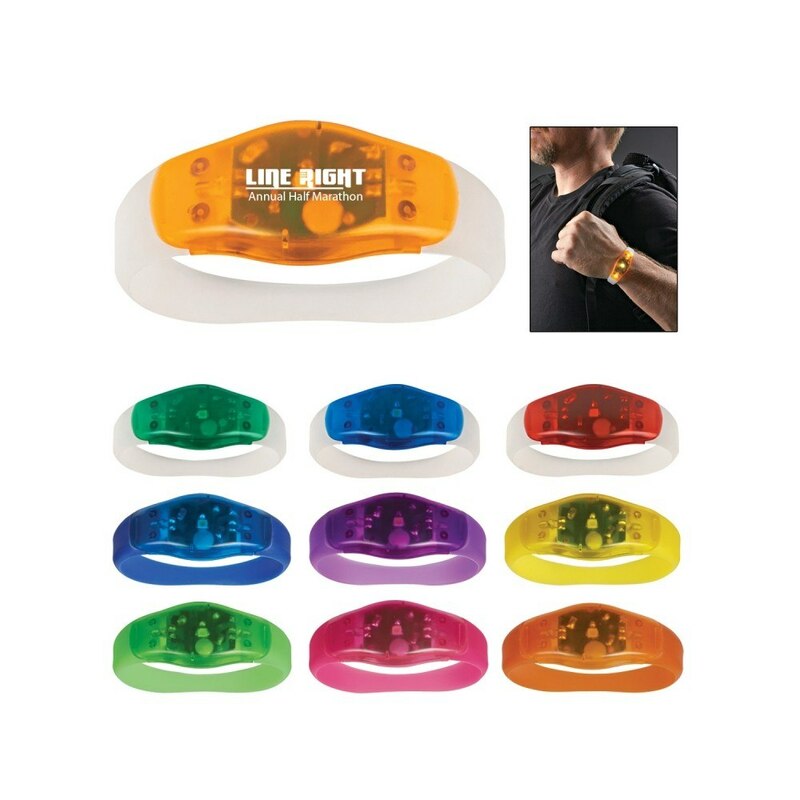 An ultimate companion for your customers who lead an active lifestyle, the Safety Light Wristband is a nice way to represent your brand at different places. This wristband ensures that the person stays safely visible while walking, running or biking in the dark and stay free from any accidents. 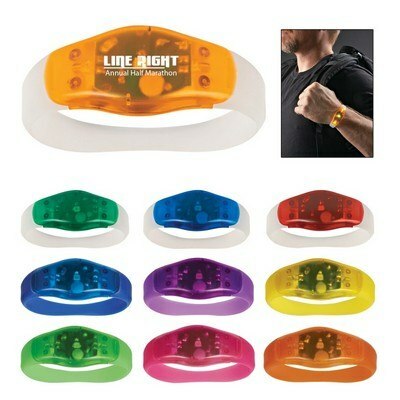 The wristband comes with two different light settings to choose from. It is one size fits all and works on button cells. Push button can be used to turn the light on or off. Easy to wear, stylish and attention-catching, this wristband is available in a wide variety of color options to select from. Customize the product to your brand by inserting your company logo and other corporate details and get noticed everywhere.